INDIANAPOLIS, October 21, 2013 -- Global Water Technologies (OTC Pink: GWTR) announces plans to expand its opportunities in the emerging smart water sector with the addition of two new acquisitions. The first addition is an innovative Software-as-a-Service (SaaS) platform to provide better data to utility customers on usage analytics. GreenSuite helps users track their consumption, make plans to improve efficiency, learn more about sustainability and earn rewards for such activities. The software can also be used as a demand-side tool for utilities. "We were impressed with this forward-thinking and very scalable approach to engage utility customers and are looking forward to implementing GreenSuite software with innovative water utilities," said Erik Hromadka, CEO of Global Water Technologies, noting the addition of software development is an important step for the company. A second acquisition brings expertise and new technologies in the water infrastructure sector, where the company has focused on its "People + Pipes + Policy" approach to reducing water loss. WASIR is a consulting group focusing on innovative resources for both drinking and wastewater systems. Growing national attention to water issues is creating interest among community leaders and investors who recognize the future potential for "smart water" solutions. Those interested in participating in these new efforts should contact the company for more information. GreenSuite is qualified for Indiana's Venture Capital Investment Tax Credit that is designed to encourage investment in fast-growing, early-stage companies. Global Water Technologies structured the acquisitions as all-stock transactions and reserved shares for future issuance to be determined based on milestones reached by the subsidiaries at the end of 2014. 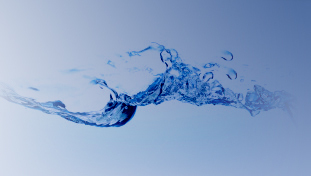 As a result of the transactions, the number of issued and outstanding shares of Global Water Technologies as of October 21, 2013 is 16,318,605.